Wow, this home has just been reduced and is a great value! Absolutely stunning home surrounded by peaceful and serene natural beauty, while overlooking 2 fairways. Walk through the front door, you will be taken back by the bold architectural design and the intricate detail throughout the home. Stainless steel appliances, ornate cabinetry, and counters that glisten in the sunshine adorn the marvelous chef's kitchen. Warm and inviting fireplaces welcome you into the cozy family and living rooms that are both bursting with natural light! Beautiful master bathroom features a separate shower and luxurious soaking tub as well as a sleek, opulent design. 5 bedrooms provide ample space for family and guests to stay comfortably. Huge bonus room and media room on upper level. The outdoor oasis has a fabulous patio and a sparkling pool and spa. Exquisite landscaping creates a serene atmosphere around the home. 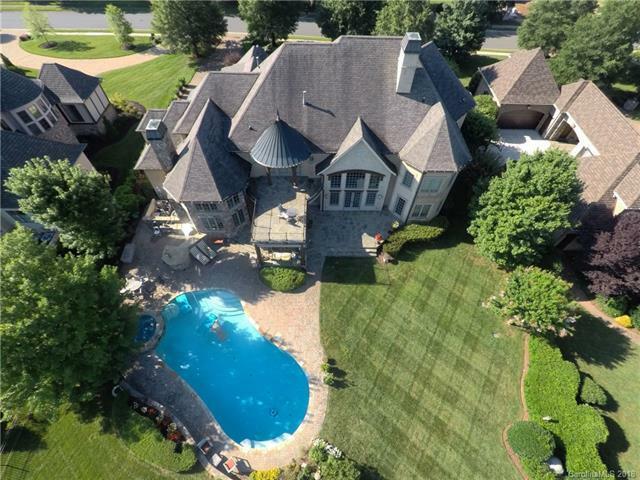 Abundant walk up storage, spiral staircase, circular driveway, and 4-car garage!